Thank you for inviting me to appear on your blog, Seumas. Sometimes a gift drops into your lap when you least expect it. That’s how my historical novel, The House at Zaronza, came about. Serendipity works in strange ways. We’ve been captivated by Corsica’s rugged beauty and visited for the fourth time in 2012. This spectacular island is basically a mountain rising almost straight out of the Mediterranean. Corsica has belonged to France for more than 200 years. But it’s still a place apart, with its own fascinating culture and turbulent history. We almost didn’t get to the part of Corsica where we ended up. But chance decided us to turn north instead of south. The guide book offered a choice of two guest houses in a small seaside village, one of them more expensive. My husband overruled my thrifty instincts. And I’m glad he did. On the guest house walls were framed letters. Judging by the faded state of the ink and the yellowed and spotted paper, they were pretty old. The owners said they dated back to the 1890s. They had come to light only a few years earlier when they unblocked a niche in the attic. Walled up in the niche was a box. And in the box was a packet of a dozen or so love letters. The local schoolmaster wrote them to the young woman whose bourgeois family lived in that house. Her parents would have opposed their relationship, so the lovers met in secret and communicated via a letter drop. Only his letters have survived; her replies are lost in the mists of time. They were destined never to marry, since the young woman had to marry someone else for family reasons. Little is known of the rest of her life. Who walled up the letters? Presumably the young woman. But why did she want to hide them? What was she so afraid of? What happened to the schoolmaster? What was it like having to marry someone else? Out of the golden thread of these questions, the letters and the little that was known of the lovers’ story, I spun my tale of Corsica. When I returned home, my head was buzzing with the story – a gift indeed. But I had to research how life was in Corsica at that time. I also had to research World War I, specifically nursing on the French side, since my main character (whom I named Maria) becomes a nurse on the Western Front. I entered the first part of the novel in the Flash 500 Novel Opening Competition, following which the judges, Crooked Cat Publishing, asked to see the whole manuscript. They liked it, and The House at Zaronza was published in July this year. It’s no secret that the relationship between the star-crossed lovers, Raphaël and Maria, is doomed from the start. But what happens to them? Well, you’ll have to read The House at Zaronza to find out. The House at Zaronza is available in paperback and e-book versions from all branches of Amazon and in e-book format from Crooked Cat Books. 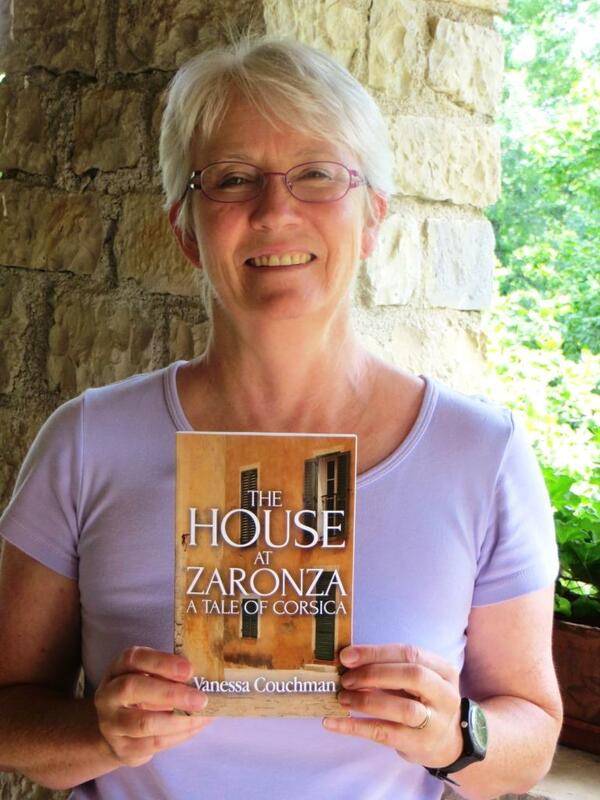 Vanessa, who lives in southwest France, is passionate about French and Corsican history and culture, from which she draws inspiration for much of her fiction. 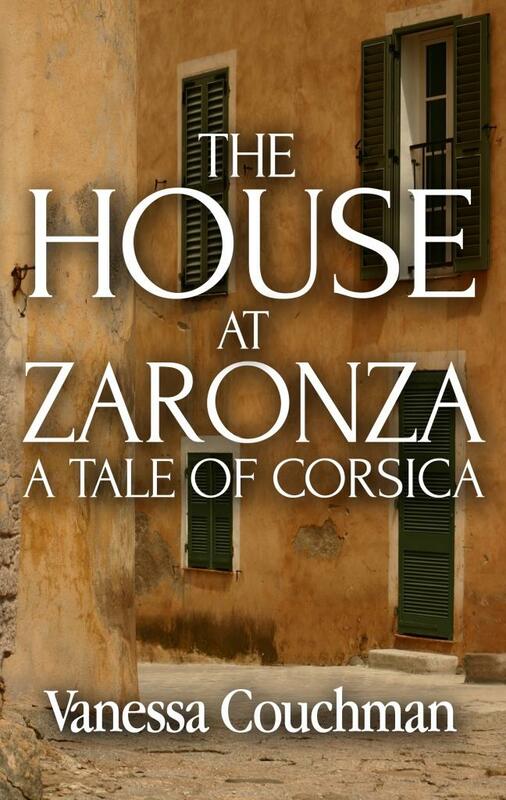 The House at Zaronza, set in early 20th-century Corsica and on the Western Front during World War I, is her debut novel. She is currently working on a sequel, set during World War II. She describes herself as a “young” author, having been writing fiction since 2010. During that time, her short stories have won, been placed and shortlisted in creative writing competitions. They have also been published in anthologies and on websites. Vanessa runs a copywriting business. She also writes magazine articles on French life, having lived in France since 1997, and the art of writing. She is a member of online, ex-pat writing group Writers Abroad, the Parisot Writing Group in southwest France and the Historical Novel Society. She has also been a Writers Bureau tutor. When I moved from Ontario to Alberta in 1978 (3500 km), I was fresh out of university with a degree in English Literature and thought I knew a lot about books, and Canadian authors in particular. Within days of arriving in Calgary I managed to find my dream job in a bookstore and was soon doing all the ordering for the store, working with sales reps, and fulfilling customers’ special orders. This was one of just a few independent bookstores at that time. Calgary was unfortunately nicknamed Chain City by those in the trade, because we had an inordinate number of malls and outlets owned by the two major Canadian chains, Coles and W.H. Smith. It was up to the independent stores to provide a space that didn’t only carry the (mainly US-authored) bestsellers, but also championed the prolific Canadian authors who were springing up like mushrooms, thanks in part to a nationalistic pride in everything Canadian – a result of EXPO ’67, held in Montreal during Canada’s centenary, and the added push by Jack McClelland, publisher at McClelland & Stewart, to publish only Canadian-authored books. A large number of small and medium-sized literary presses were also born during these years, giving Canadian authors new markets for their books. This was also the beginning of regional publishing in Canada and while there wasn’t much of a market for these books outside each region, specifically in the biggest market of Toronto, local bookstores and customers were supporting these books fully, because they were their own authors writing stories about where they lived – stories that had not really been told until the 70s, when interest in local writing really began to blossom. As a new bookseller, this experience showed me how important the local authors really were to our store – and to our customers. Since the chain stores really weren’t doing much in the way of stocking and selling books by local authors, it was up to us to represent and sell those books. When I became a publishers’ sales rep in 1989, covering the territory of southern Alberta and Saskatchewan and selling to bookstores and libraries – and, yes, even to those chain stores, what I discovered was that my customers wanted to hear about locally authored books first, because – after the big national and international bestsellers – that’s what stores could sell best, and what library patrons wanted to borrow. I received my first thousand-copy order for a Prairie-based children’s picture book – an unheard of amount for any bookstore to order, let alone a small independent bookstore in rural Saskatchewan. Both the author and the illustrator lived in the bookseller’s neighbourhood. When I presented this book to the bookseller, we both believed in it so strongly (it truly was a beautiful book!) that she immediately knew she’d sell a large quantity of books with no trouble at all. She did just that then ordered even more books each time she sold out. When the publisher reprinted, because the book had taken off like … well, like a prairie wildfire!, this one bookseller was sitting pretty with plenty of stock to carry her through those otherwise lean weeks. I REALLY sold many, many more thousands of copies to other booksellers after that. (This became the bestselling book of my career!) And the book did take off – both nationally and in the US, too. 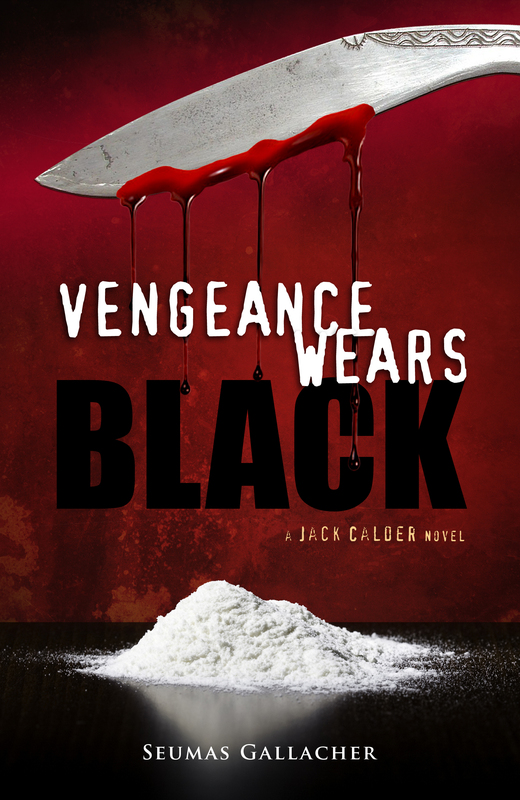 So it was my first experience with a local book that also had international potential. 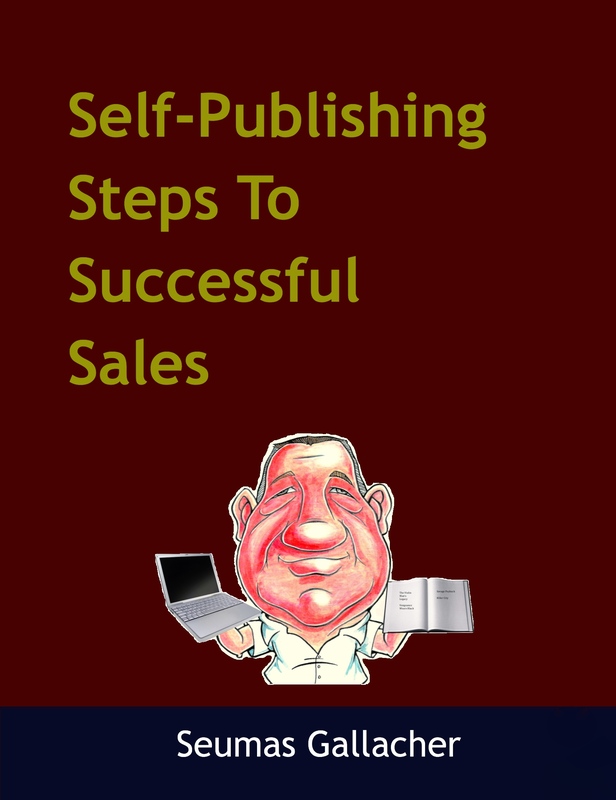 I had been developing ideas I wanted to test about ePublishing first, marketing the eBook heavily online, taking pre-orders for a print copy, and only printing when I knew there was enough demand. What ePublishing first proved to me immediately was that my market was no longer restricted to one particular geographic area, the one where I happened to be living. 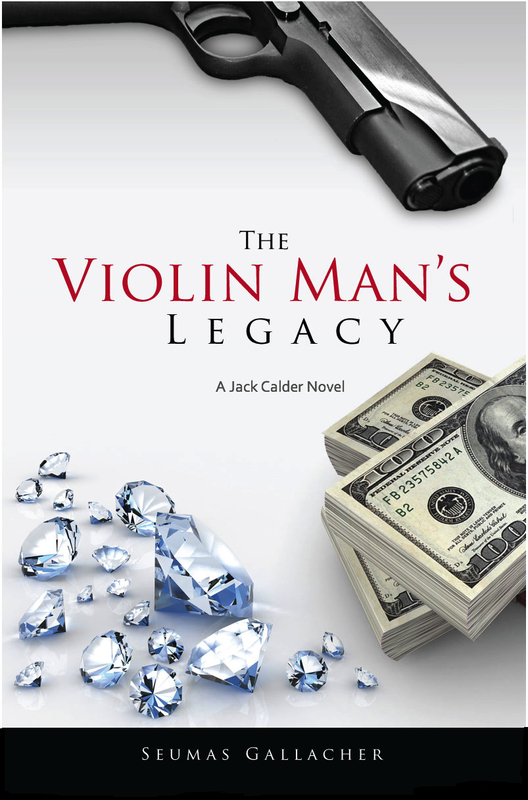 Readers from around the world were suddenly buying and downloading my eBook from Amazon, Kobo and iTunes, and I was receiving emails from many people I didn’t know telling me they had discovered my novel and enjoyed reading it. Hooray! Meanwhile, print sales pretty much stalled at those copies that were pre-ordered. A few independent bookstores, friends from when I was a rep, stocked some copies, but really did little-to-nothing to help me sell those books. Nor would they get behind an idea I had to sell eBooks through their stores. They just did not see this as a new opportunity I was providing in expanding their market to customers who were using these new eReaders. 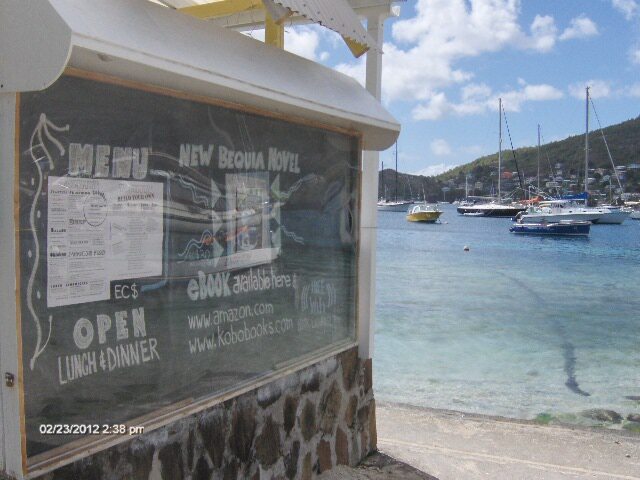 The one bookstore that did sell a much larger quantity of print copies was, not surprisingly, the Bequia Book Shop. But I have had to get that stock down to the Caribbean at my own expense, and keep the store supplied with books over these past couple of years. Plus I’ve paid for all local advertising myself to drive customers into the store. 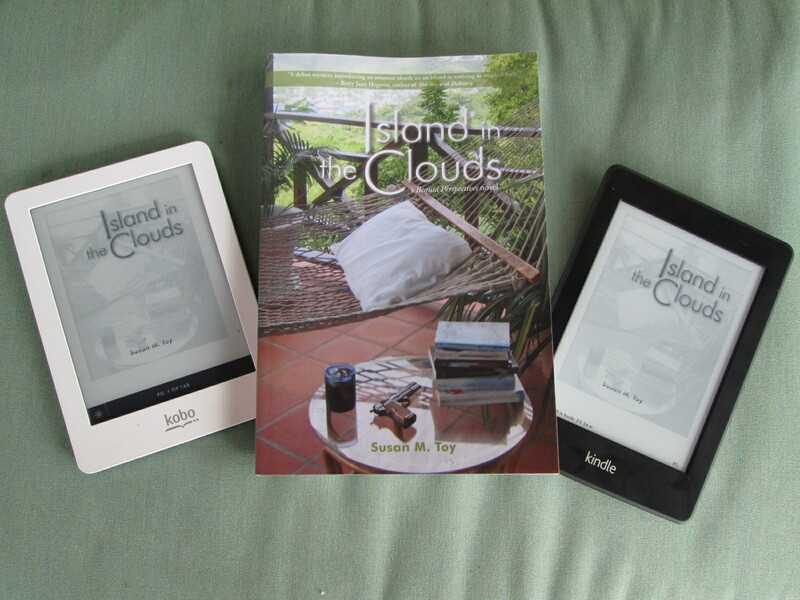 Even though print copies are locally available on Bequia, I realize that the majority of my readers still download eBooks. (Sailors especially have really taken to using the new devices for reading, because print books take up too much space on their boats. Logical.) 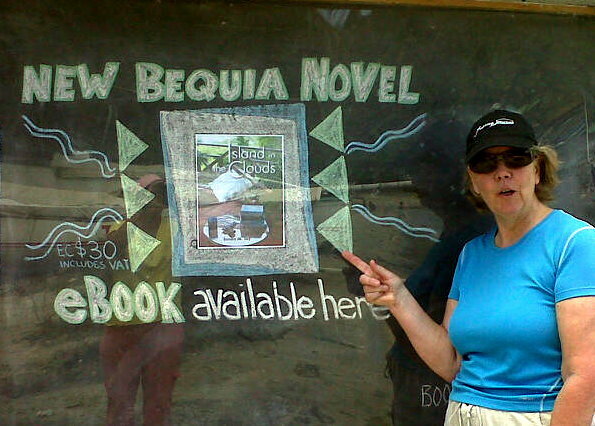 Now I was not only a local author on Bequia, but also had been “discovered” back home in Canada, and by readers in the US, UK, Europe, Australia, South Africa, and the many other places tourists arrived from when visiting Bequia. I have long been promoting other authors and began this in earnest when I was still living in Alberta, setting up a business called Alberta Books Canada to promote local authors, many of whom were my friends. Since last year, I’ve been posting to a blog called Reading Recommendations and so far have promoted 168 authors, literally from around the world! (Seumas Gallacher, who has so graciously hosted me on his blog today, has been featured on this site.) This “community” of authors has been, for the most part, very supportive of me and the site, as well as of their colleagues who I have also promoted. Without realizing it was happening at the time, I know now that Reading Recommendations has expanded the market for all authors involved – including me. So instead of hoping that we will each find our own local market in which we can sell our books, horizons for everyone have grown to include the entire world, as readers discover our writing, read and enjoy our books, and recommend them to their own friends. This has only happened because of ePublishing and online stores that have made our eBooks available everywhere. And also because we now market internationally, rather than merely being satisfied that our books are only available locally. We’re finally able to compete with those big-name international best-selling authors for readers’ attention, because our work is readily available at the click of a mouse. I wish I could remember which Canadian publisher it was who told me they wouldn’t know how to market my book. I just bet they’re still using the same old methods as always to market and publicize books they’re publishing now. 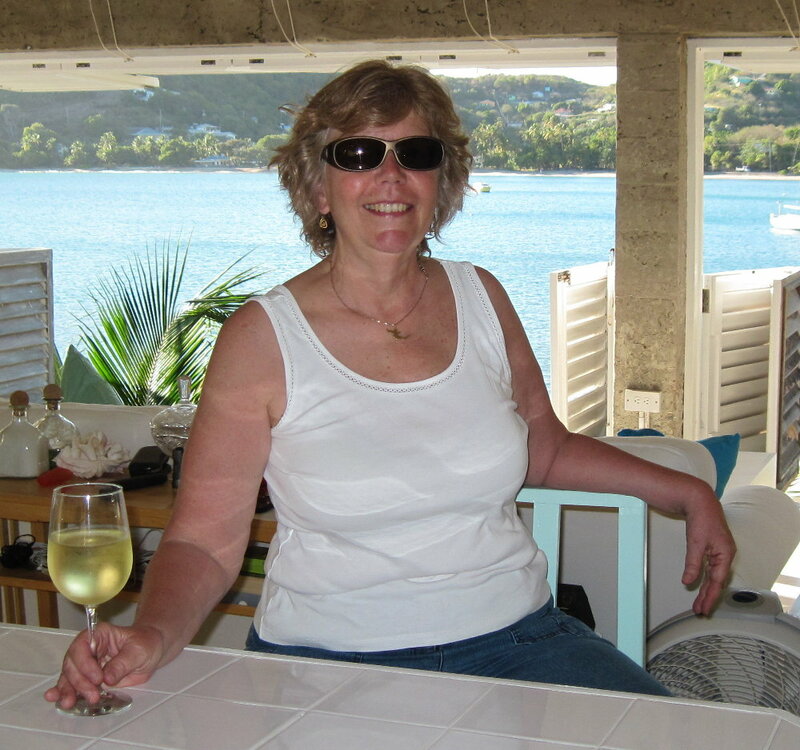 In the meantime, here I am, sharing my time between the Caribbean and Canada, writing the second (soon-to-be-published) novel in my series, knowing full-well that I already have an international market of readers in place, waiting to read. 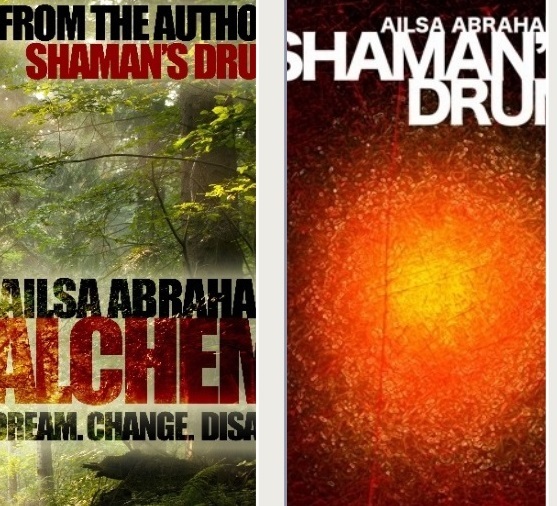 eBooks have allowed me the opportunity to become an author with an international following – something that never would have happened in a million years of print publishing! 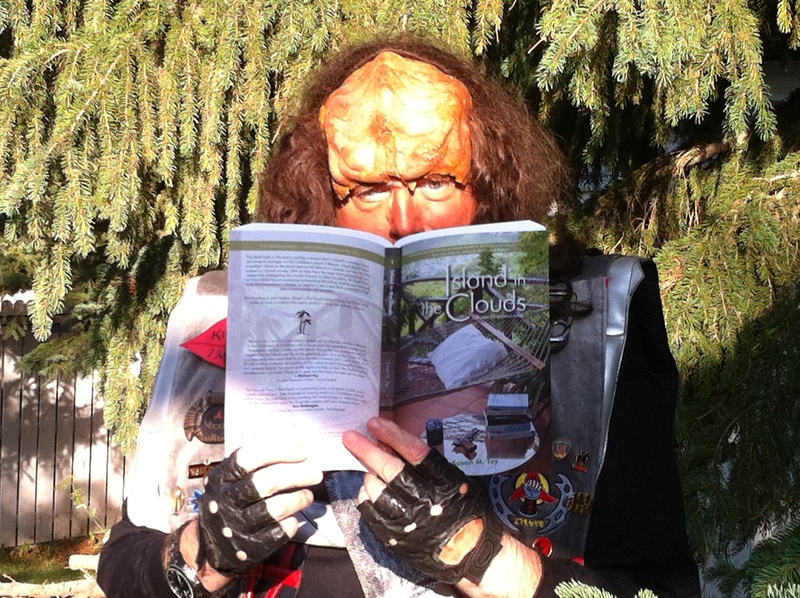 Where in the World Can You Purchase Island in the Clouds??? No, that is not a mis-spelling, for me it has been an “erse” of a year. When some bones were removed from my foot, I was only worried about recovering within the promised six weeks. I hadn’t anticipated my beloved GP, in a fit of enthusiasm, tweaking and re-breaking it. Nice one, Doc and no, “Ooops!” doesn’t cover it. Six months later I was still on crutches and in a pirate boot. Leaving out normal day-to-day frustrations, I then did a marvellously athletic “dismount” from my motorbike (double somersault with pike) which landed me in a coma for a couple of weeks. I could cope with the injuries but being tied to the bed (and not in an exciting way) was an indignity too far. As I said at the time, who knows what a spleen does, or would miss it anyhow? Getting as far as mid-November, I thought I was going to get away with it. I was wrong. We visited the local cop-shop to give a statement about the incident where a group of young traveller women offered us violence in a supermarket car-park. According to CCTV, we were technically in the wrong so our fingerprints, DNA and mug-shots were taken. Great! Now a criminal, too! The one saving grace is that I had already decided that, my two series finished, I was going to start writing my comical memoirs. Nearly a quarter of a century in France was surely enough for at least one volume. The fixed grin is there because, whatever happens, I can say to myself “Just more material, kiddo, more for the next series.” Yes, it has all been noted, watch out for Volume One in 2015. Thanks so much for inviting me over, Seumas, always a pleasure to come visiting. Ailsa Abraham retired early from a string of jobs, ending up with teaching English to adults. 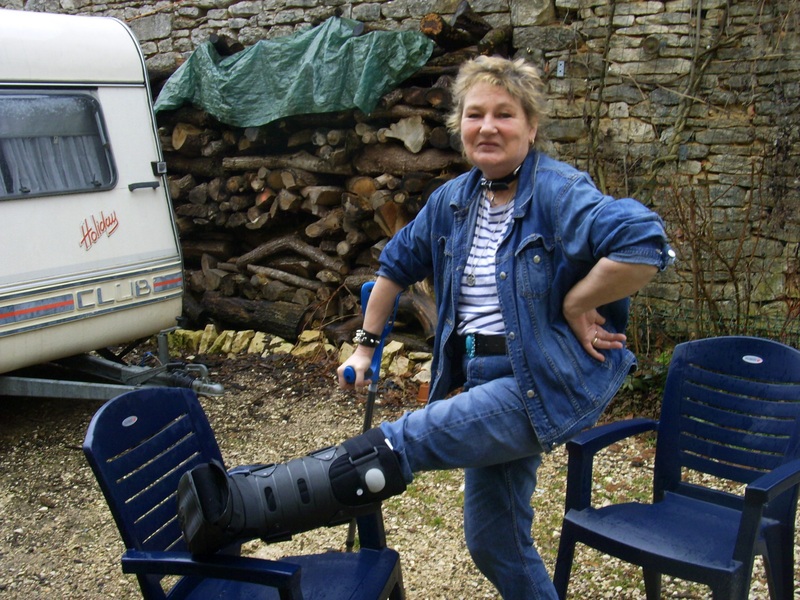 She has lived in France since 1990 and is married with no children but six grandchildren. She copes with Bipolar Condition, a twisted spine and increasing deafness with her usual wry humour – “well if I didn’t have all those, I’d have to work for a living, instead of writing, which is much more fun.” Her ambition in life is to keep breathing and possibly move back to the UK. She has no intention of stopping writing.